Making Money Online: How Realistic? You are here: Home / Make Money Online Tips / Making Money Online: How Realistic? I’ve been browsing some make money online pages at Facebook this morning and as usual I see nothing but heavily spammed wall pages. Each one promoting links that lead to mostly GPT and HYIP investment something sites. It seem to me that almost every facebook fan pages which is related to internet marketing and make money online have turn into a free advertising page online. Every poster seems to care nothing but simply to post his/her affiliate link to every page that allows them. In short, I didn’t find something good to read on those mmo fan pages. I am almost sure that your first instinctive answer to that question would be, “Off course it is realistic”. In fact, someone replied with something like, “yes off course as long as you work hard for it”. I was about to type something like, “ah, I’m a little unknown guy but I make money online, come and read my blog and you’ll learn something”. Luckily, I got some weird internet connection error before hitting the enter key on my pc. That saved from being discovered and becoming popular, lol.. Seriously, the guy who posted that seemingly innocent question could be another mmo beginner. Literally speaking there is hundreds of real ways to earn money online and there are thousands of individuals who are making hundreds and thousands of cash online. Nowadays people from all walks of life are turning to the internet not only to surf but also to buy something. What are they buying? They’re buying not only tangible products. They’re buying intangible products such as informational internet marketing ebooks and other digital products. This means a great opportunity for the business minded individual to make real money on the internet. If you don’t have products or services to sell then you could easily earn a good income by selling other people’s products through affiliate marketing. As mentioned earlier I noticed some folks posting their affiliate links to some good internet marketing resources. The key to making money online by posting on Facebook fan pages is offer valuable and helpful information. As much as possible it would be better to guide them to your own blog or site where they can learn more about the product or service you are trying to offer. Moreover, if you can build landing pages where you can gather their email list then guide them their. Offer them a highly valuable info product which is relevant to their interest. You may not be able to make fast cash by doing this way but you can make money off them in the long run, over and over again. 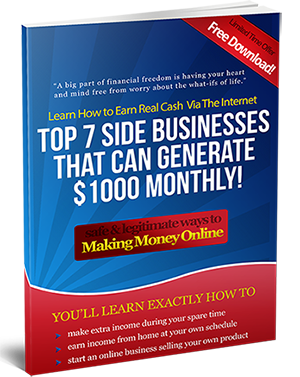 That’s one of the cool ways you can make money online realistically.